It's not just Cara Delevingne who loves Me+Em's laid back luxury - it looks like the Duchess of Cambridge is a fan too. 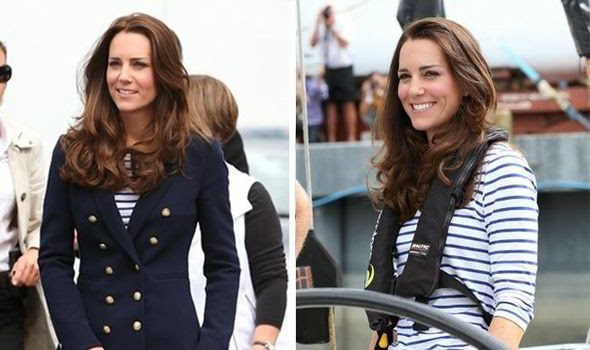 A master of literal dressing, what else would we expect Kate wear to a yacht race than one of the brand's nautical striped tops? The classic cobalt blue and white cotton top comes in at £48, but any copy Kates who want to get their hands on this one had better move fast - the £79.99 Zara blazer she has also been spotted wearing during the royal tour of New Zealand has already sold out - no surprises there then. If Breton stripes aren't your bag there will be plenty more outfits to see yet with Australia still to visit. Have you got a favourite Kate look from the tour so far?